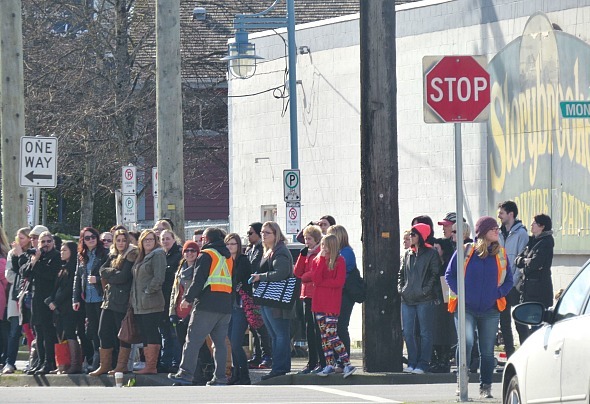 Once Upon a Time is filming Storybrooke scenes in sunny Steveston today with Emma (Jennifer Morrison)’ driving her yellow VW bug and parking it in front of Granny’s Diner, followed by Regina (Lana Parrilla) in a blue mini-van. Is that how you show you’re becoming more good than evil? Opting for a mini-van over a vintage Mercedes. 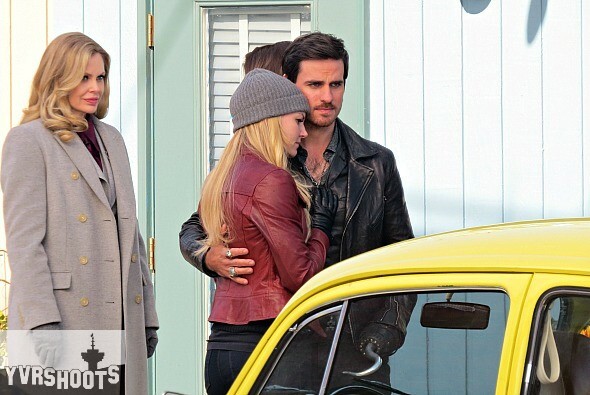 The scene: Maleficent (Kristin Bauer van Staten) and Lily (Agnes Bruckner) look on as Emma gets out of her VW bug and hugs Henry (Jared Gilmore) and Hook (Colin O’Donoghue). Meanwhile, her Dad Charming (Josh Dallas) removes Zelena (Rebecca Mader) from the back of the VW bug and hands her off to her sister Regina, who hugs Robin (Sean Maguire) and his son Roland (Raphael Alejandro) and then walks off with Zelena. Spoiler alert: visible spoiler if you have a good memory for Once Upon a Time clothing. Captain Swan (Jennifer Morrison & Colin O’Donoghue). Jennifer Morrison with the boys. Outlaw Queen (Lana Parrilla & Sean Maguire). Lana Parrilla and Raphael Alejandro. Sisters: Regina (Lana Parrilla) & Zelena (Rebecca Mader). Agnes Bruckner & Kristin Bauer van Straten. 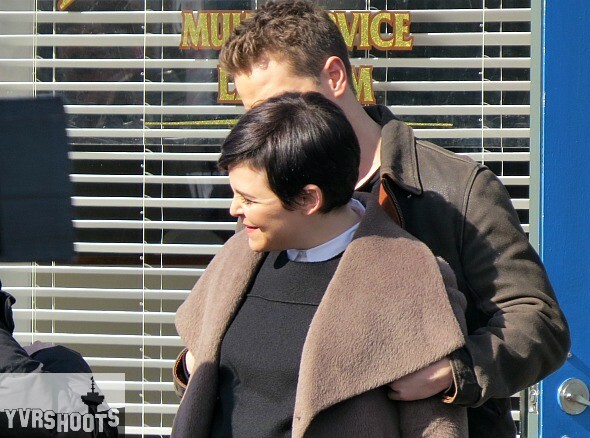 Gosh (Ginnifer Goodwin & her husband Josh Dallas). Oh wow! I love this!!! I would love to meet Lana and everyone love this site! !